When children enter a space filled with things that stimulate their creativity and curiosity, it is not surprising that they will create a big mess. In a matter of just hours, kids can dirty walls with paint and pencil drawings, and you can also expect them to bring in mud and dirt after they have played outside. Though it is only natural for children to learn how to clean up after themselves, it will take time to master the act. Day care centers are just one example of places that receive and take care of children on a daily basis. Watching over a few kids may sound easy, but once it escalates into a full class, keeping an eye on the little ones will be tricky. Keeping the harmony between the classroom and children becomes difficult over time, especially for teachers. With that many kids running about at the end of the day, one can imagine how messy the day care center can get. Of course, the teachers do their part to keep the place tidy. However, if they need extra hands to maintain the cleanliness of the facility, then contacting Valor Janitorial is their best chance of making it happen. 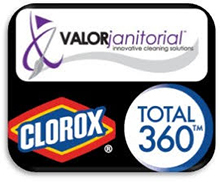 Valor Janitorial offers professional quality janitorial services in various commercial properties in Dallas, Texas. If you are interested in any of our professional janitorial services, please contact Valor Janitorial and give us a call at 214-238-9550.